Since paper degrades as it ages, it is hard to come up with an exact timeline for the invention of origami. It is generally accepted that paper was invented around 105 A.D. in China. The Japanese first used paper during the sixth century. It is true that other cultures engaged in various forms of paper folding, but it was the Japanese who first discovered the possibilities associated with using paper as a medium for art. Origami was initially known as orikata (folded shapes). In 1880, however, the craft became known as origami. 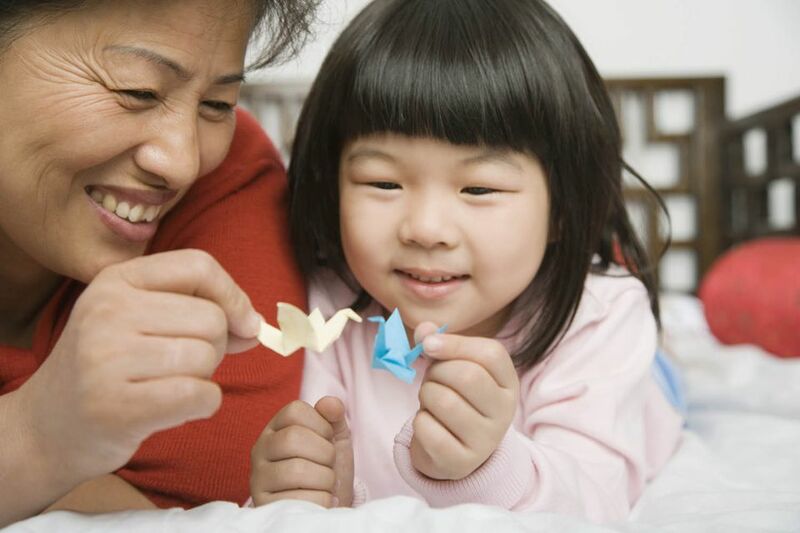 The term origami comes from the Japanese words oru (to fold) and kami (paper). It is not known why this term was chosen, although scholars have speculated that the characters for this term were simply the easiest for schoolchildren to learn to write. Today, many people are attracted to the idea of learning how to fold origami figures because paper is a cheap craft supply. When origami was first practiced, however, it was a craft only for the elite. Japanese monks folded origami figures for religious purposes. Origami was also used in various formal ceremonies, such as the practice of folding paper butterflies to adorn sake bottles at a Japanese couple's wedding reception. Tsutsumi, folded paper gift wrappers, were used in some ceremonies to symbolize sincerity and purity. Tsuki, folded pieces of paper accompanying a valuable gift, are another example of ceremonial paper folding since these models would act as a certificate of authenticity. As paper became more affordable, common people began making origami figures as gifts or creating folded cards and envelopes for their correspondence. Origami also started to be used as an educational tool, since the folding process involves many concepts that are relevant to the study of mathematics. The first book about origami was Sembazuru Orikata (Thousand Crane Folding) written by Akisato Rito and published in 1797. This book was more about cultural customs than a series of instructions, however. There is a traditional story in Japan that says if a person folds 1,000 paper cranes, they will be granted one special wish. Akira Yoshizawa is often known as the "grandmaster of origami." Born in 1911, he first learned origami as a child. In his 20s, he used his knowledge of origami to teach new employees in the factory where he worked on the geometry concepts needed to complete their jobs. In 1954, Yoshizawa published Atarashi Origami Geijutsu (New Origami Art). This work established the basis for the symbols and notations that we use today when describing how to fold a particular model. It was also the catalyst that turned Yoshizawa into an origami superstar. He spent the rest of his life serving as a sort of "cultural ambassador" for Japan as he brought greater awareness of origami techniques to the rest of the world. Yoshizawa passed away in 2005, but it is estimated that he created over 50,000 different figures during his lifetime. Unfortunately, only a few hundred of these models were ever officially documented in his published origami books. Yoshizawa also pioneered the popular wet-folding origami technique, which involves spraying paper with a fine mist of water in order to create folds with a rounder and more sculpted appearance. A great book featuring his work called "Akira Yoshizawa" was published September 2016. Origami did not initially allow any cutting or gluing, but standards have loosened considerably over the years. Today, you will see many origami books with models that involve some form of cutting or gluing to provide increased stability to the final design. Another way in which origami has evolved is that figures are no longer folded exclusively with origami paper. Today, you can find paper-folding enthusiasts who work with wrapping paper, typing paper, scrapbook paper, and various forms of handmade paper. There is a "green" crafting trend that involves making origami out of paper that would otherwise be discarded, such as old newspapers and junk mail inserts. You can also fold origami figures from paper currency to present a cash gift in a unique way, although this craft requires that you follow diagrams that are created with your currency's specific dimensions in mind. How to Throw an Origami Themed Party!